Walls speak volumes about a house and the housemates. So, if you want to create a striking visual impact on your guests and visitors with your interior, you should spruce up the walls first. Long gone are those days when walls could only be adorned with paint. Now, there are so many innovative elements like wallpapers, decals, or stickers etc that can be added on the walls to give it a new look.No matter if you want to give your walls a touch of the traditional elegance or fill it up with chic contemporaneity, there are thousands of options awaiting you. But sometimes you may need a little guidance with respect to what sort of wallpapers to choose for which rooms, what kinds of prints and patterns will go with what sort of interior etc. Therefore, we have gathered a few tips here for you so that you can make a hassle-free choice at the earliest. Take a look. Colours can change the ambiance of a room. So, you must first pay attention to the colour of the wallpaper’s patterns and backgrounds. Soft and cool colours like blue, green, or violet reflect tranquillity while warm colours like red, yellow, and orange indicate drama and intensity. 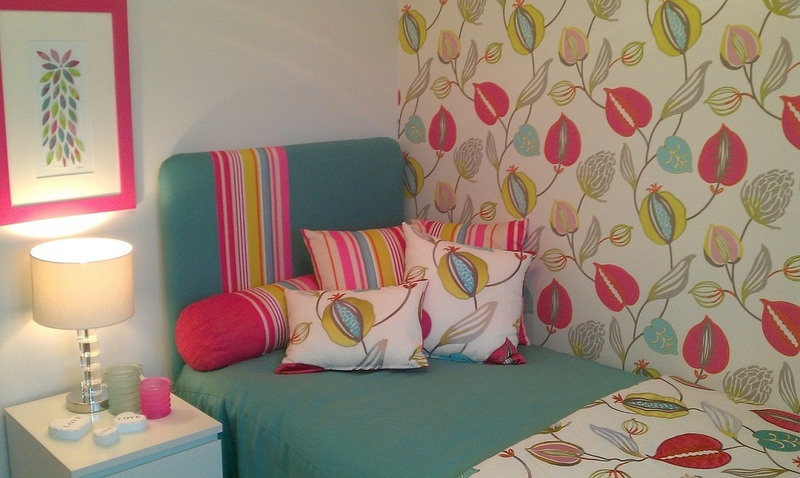 So, choose the colours according to the mood you want to set in the particular rooms. Generally, you should opt for brighter hues for the living area and more subtle and romantic shades for the bedrooms. Did you know that your wallpapers can change the lighting of an area? How? Look for wallpapers that reflect light around the room for dark hallways, north-facing, or windowless spaces. Patterns with light colours or iridescent and metallic inks are the right choice for this. You can also consider smooth surface patterns for maximum reflection of light. Textured surfaces or use of dark colours tend to absorb light and make the walls appear closer, thereby making the room feel smaller. So, it is better to opt for bright wallpapers. 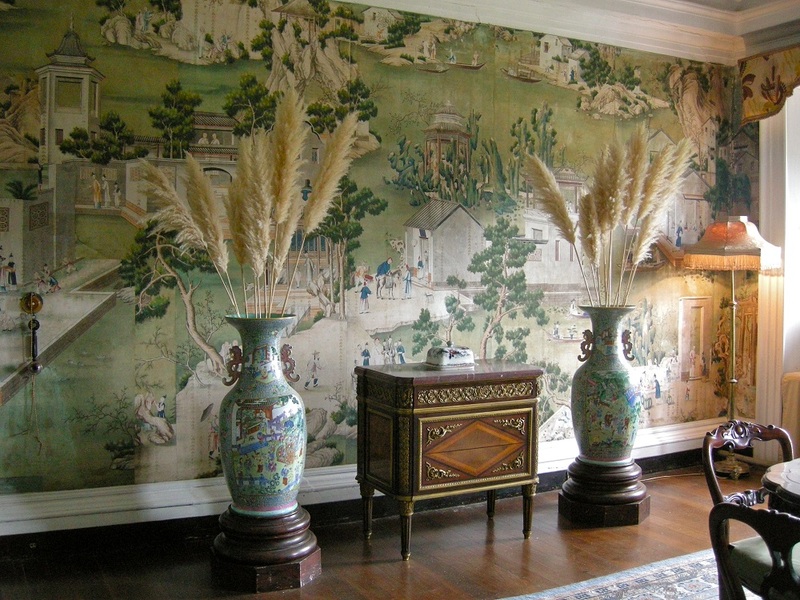 Wallpapers can also perfectly camouflage any kind of architectural or wall eyesores. You have to just choose patterns with real tactile surfaces like foil, fabric, expanded vinyl, burlap, grass and string cloth etc. Certain papers also simulate the look of leather, wood, fabric, marble, or even animal skins. So, if you want your wallpapers to correct an imperfection in your walls, make sure you research well about this factor and choose the one that not only hides the flaw but also has an aesthetic appeal. Last but not the least, you must pay attention to the rest of your decor and understand what kind of interior do you want for yourself. If you want to pick a formal style of the interior for your home, you can go with large-scale patterns in dramatic hues or if you want to flaunt a fun and quirky look, you can choose smaller motifs that are open and spaced regularly. Also, emphasize on the borders and try to gauge its impact on the wall. So, what are you still thinking? Quickly start looking for the best wallpaper in Adelaide from a reputed store and spin the magic wand on your walls in no time.